Summer's coming to a close which means it's time to head back to school and back to the studio. And though we have no doubt that you'll log a lot of dancing this fall, every dancer knows that there's bound to be down time in between technique classes, rehearsals, stretching, and waiting to be picked up. So give your Insta feed a break and check out these dance-tastic books that'll not only entertain you, but might even teach you a thing or two. This might be a picture book, but the story it tells is worthy of audiences of all ages. 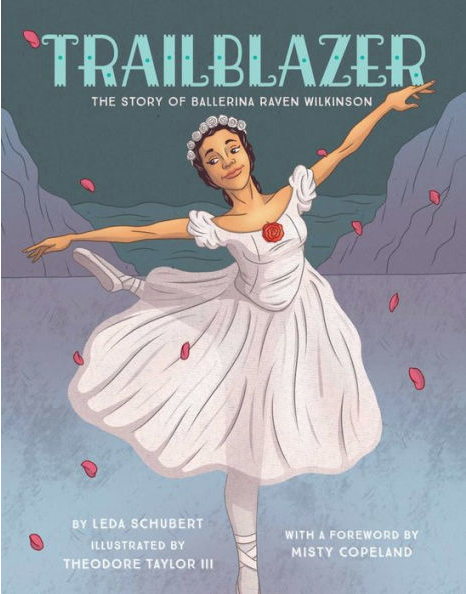 Based on the life of Raven Wilkinson, the first African American to dance with Ballet Russe de Monte Carlo, this book tells of the challenges and trials Wilkinson endured to achieve her dreams of dancing ballet professionally in the '50s and '60s. Despite bigotry and threats on her life, Wilkinson cemented her legacy as a dancer and is also Misty Copeland's mentor. Read this book as a reminder to not let anyone deter you from pursuing your dreams.